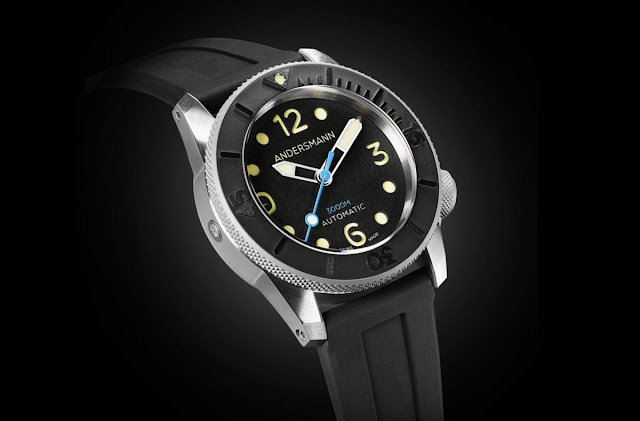 Founded in 2014, Andersmann is a watch company specialized in manufacturing high-performing dive watches equipped with Swiss-made movements and assembled in Bien. 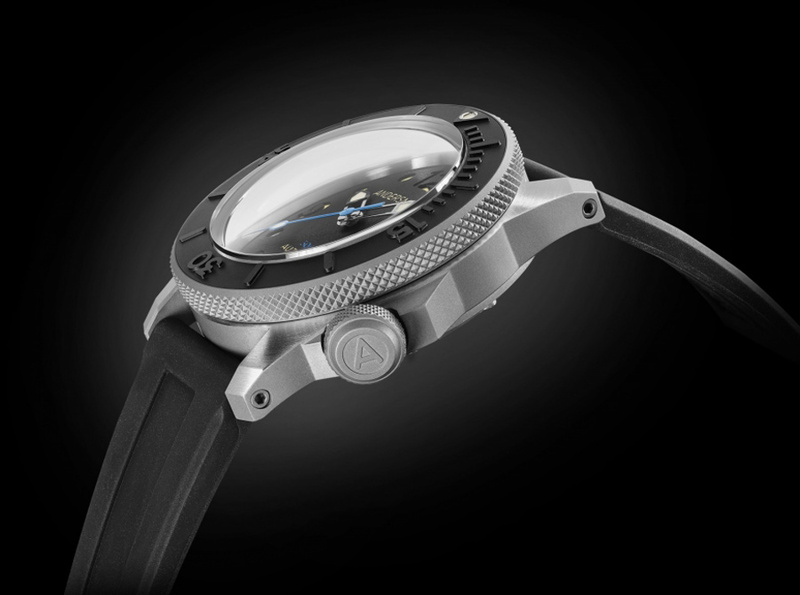 The latest model from this brand is the Deep Ocean diver’s watch offering a certified water-resistance of 3,000 meters / 10,000 feet. Crafted from Grade 5 Titanium with bead-blasted finishing, the imposing 47 mm case has a thickness of 20 mm taking into consideration the domed sapphire crystal with anti-reflective coating. The automatic Helium Escape Valve is positioned on the caseband at 9 o’clock . The anti-clockwise unidirectional rotating bezel is very precise thanks to its 120 clicks. The matte ceramic inlay features a raised dive-time scale with a luminescent dot inside the triangular marker at 12. 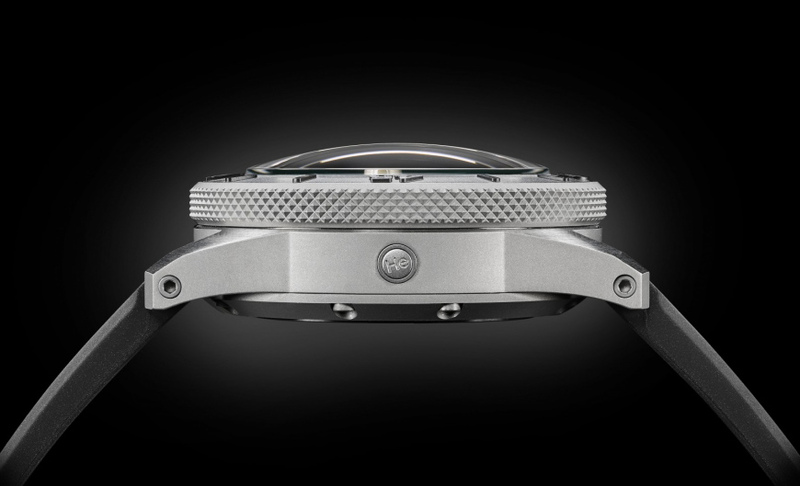 Both the side of the bezel and the crown at 4 o’clock are enhanced with a Clous de Paris grip. Clearly inspired to Panerai’s legendary dials, the Andersmann Deep Ocean also uses a sandwich structure for its dial with a black grained top plate and beige Super-LumiNova creating a bright blue glow for the lower part. The semi-skeletonized sword hands, also with Super-LumiNova are combined with a blue lollipop seconds hand which adds a nice touch of colour. Secured with eight hex-screws, the titanium case back is enriched by a central part with black DLC-coating remarking the high level of water-resistance. Inside, the robust and reliable Swiss automatic movement ETA 2892-2A beats at 28,800 vibrations and offers 42 hours of power reserve. The dial is very Panerai but interesting diver. 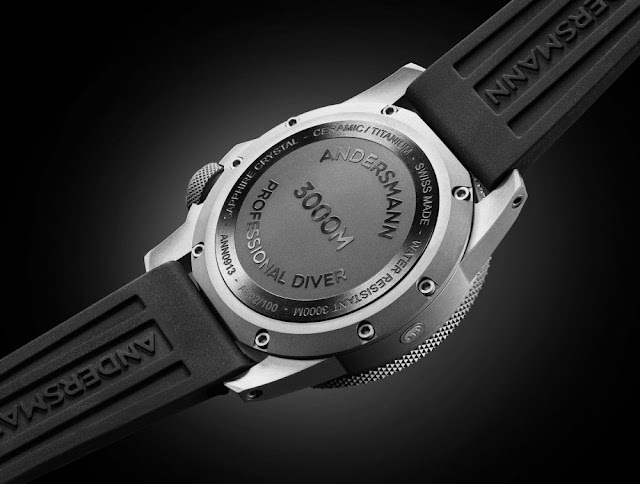 Andersmann Deep Ocean. 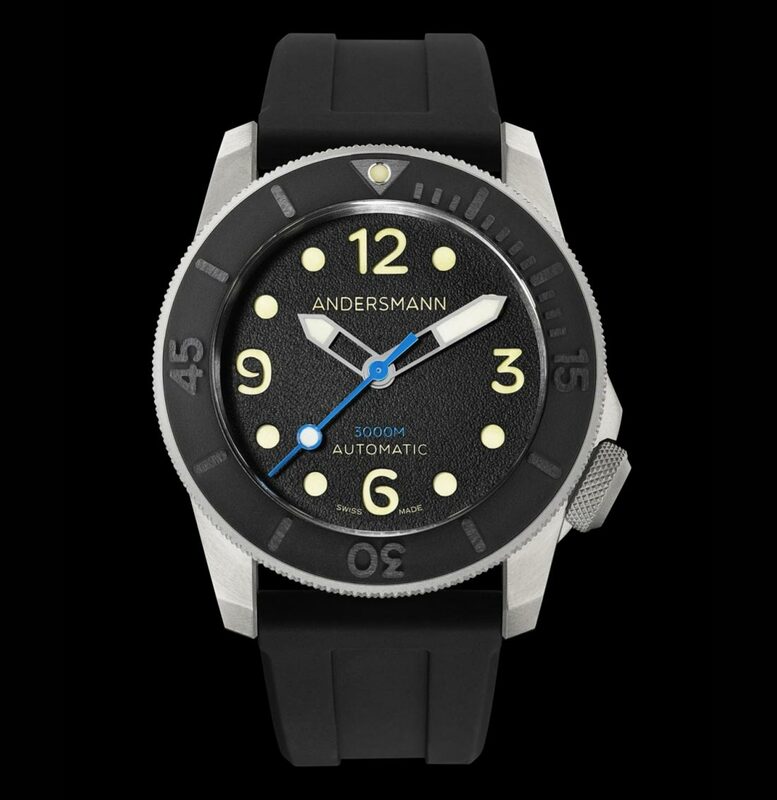 Founded in 2014, Andersmann is a watch company specialized in manufacturing high-performing dive watches equipped with Swiss-made movements and assembled in Bien. The latest model from this brand is the Deep Ocean diver’s watch offering a certified water-resistance of 3,000 meters / 10,000 feet. Delivered on its rubber strap along with two additional straps, one in brown leather and the other also in rubber but longer, the Andersmamnn Deep Ocean has a price of Swiss Francs 2,380.